About 3% of adults and 1% of children are allergic to insects. It is the second most common cause of allergic reactions in the United States (#1 being food allergies). About 40-100 Americans die from insect stings every year.﻿ The most common insects which cause allergic reactions are classified in what is called the order Hymenoptera which includes the Honey Bee, Yellow Jacket, Wasp, Yellow Hornet, White-faced Hornet, and Fire Ant. What types of reactions can these insect stings cause? There are three major types of reactions that can occur from insect stings. Local reaction: mild redness, swelling and itching at the sting site, which lasts up to several days. Large local reactions: these reactions, which develop 10-20% of insect stings, result in a large area of redness and swelling that increase in size over 1-3 days and may last up to a week. The area can affect an entire limb and is often hot and painful to the touch (often mistaken for a skin infection). When it affects the arm or leg, it may be so painful as to cause difficulties writing or walking. Allergic reaction: these reactions, also called anaphylaxis, can be very severe and life threatening. Symptoms may include body itching, hives, swelling of the tongue or throat, difficulties breathing, abdominal cramping, diarrhea, lightheadedness, loss of consciousness, and even death. These reactions can occur very quickly after an insect sting - within seconds to minutes of an insect sting. Other times, it can take a little bit longer to develop, perhaps as lon gas 15-60 minutes. These reactions can be very severe from the start, or they be mild at first (perhaps just mild hives) then gradually (or suddenly) get severe. These reactions should not be ignored and emergency care should be seeked immediately. If stung by an insect, try to remain calm and brush the insect away. Bees often leave their stinger with a venom sack attached into the skin, which will continue to release venom for about a minute. You should remove the stinger by scraping it off with your fingernails or a credit card. Avoid using tweezers as squeezing the stinger can release more venom into the body. Wasps, yellow jackets, and hornets usually do not leave their stingers in the skin. Local reactions can be treated with a cold moist cloth or an ice pack. Rubbing the area with a mixture of 3 teaspoons of baking soda and 1 teaspoon of water is sometimes helpful. Calamine lotion or hydrocortisone cream can also help reduce the swelling and itching. When large local reactions are severe, doctors sometimes prescribe steroids to help reduce the inflammation. Fire ant stings often result in a very itchy bump that turns into a blister about 24 hours after a sting. This blister often contains a whitish substance that looks like pus…but it is not pus. Although it is very hard to do so, it is best to leave these blisters alone as breaking them open can lead to severe skin infections. Left alone (and clean), these blisters heal on their own in about a week. Always carry your epinephrine auto-injector with you. Because 1 dose may not be enough, it is recommended that you carry 2 doses with you (1 Twinject , 2 Auvi-Q, 2 adrenaclicks, or 2 Epipens) at all times. Learn how to use your auto-injector before you have a reaction. The time to learn is not when you are having symptom! Have a plan and teach your family, friends, and co-workers how to use the injectors in case you are not able to administer a dose yourself. orange to get a feel of how they really work. Do not delay in seeking help. You should always seek emergency treatment (IE. Call 911) when you have an allergic reaction. 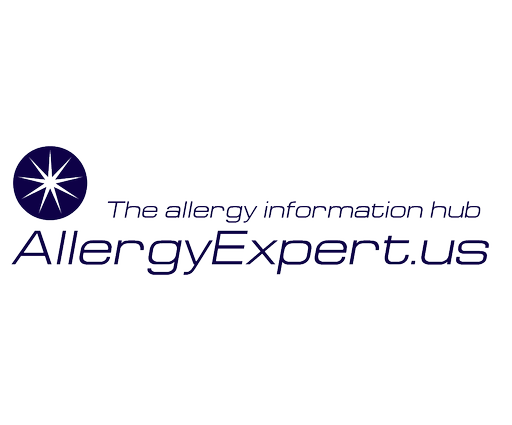 Is there anything else that can be done for insect allergies? How can I minimize getting stung by an insect? Don't dress or smell like a flower. Avoid bright colorful clothing and perfumes. Dark clothing is best. Avoid loose fitting clothing which can trap insects between the skin and the clothing. Avoid going outdoors barefoot or with open-toe shoes. Do not disturb bee hives or other nests. Keep food, drinks, and garbage tightly covered. Stay calm. If you encounter a flying insect, slowly move away; do not swat at it. Do you have an allergy to a flying insect?